A nice surprise arrived in my mailbox last week from GB, KG4GVL. 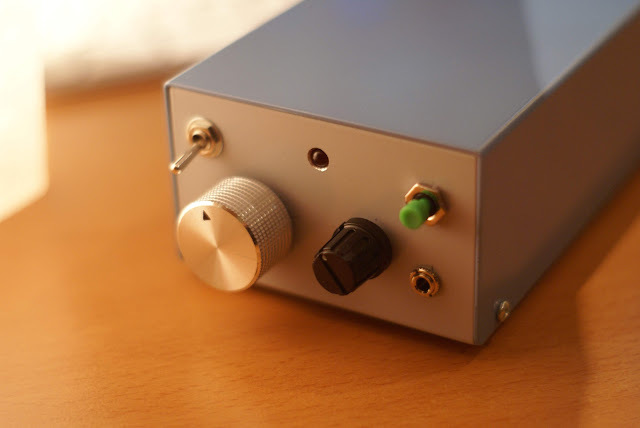 He had an older retired kit known as the Firefly SDR that had been sitting unbuilt and he wanted me to build it to pass on to the ham community in the future. Of course I did not hesitate to take him up on the offer! The kit is a 20m Software Defined Radio (SDR) and features a 2.5 to 3.5w CW only transmitter with a built in keyer. I'm not sure why QRP Kits decided to drop the Firefly because it is a pretty unique kit and I don't know of any other SDRs like this one. No less, I set to build this kit as fast as humanly possible as I do all my kits because I just can't stop myself! Typically I'd do all the testing in between steps but I was feeling adventurous and went ahead without any stopping. Well no stopping until I found that I was missing a part which was quickly supplied by Glenn, AC7ZN, free of charge! Thanks Glenn!! My luck paid in gold when the first power on let out no magic smoke and the waterfall erupted with signals from the I/Q output! GB was kind enough to send along all the hardware required for the kit including a really nice case. I've not had a ton of luck casing up kits just because I don't have a lot of tools at my disposal to drill holes and such so this time I decided to really do this kit justice and hit my local Harbor Freight to pick up some step drills. These things make drilling holes in sheet metal really easy. I also got a set of needle files too while I was there. End result: pretty darn nice! The controls of the Firefly are a bit different from your traditional CW transceiver for obvious reasons. The flip switch on the top left of the front panel is the Spot/Operate switch. Flip it up, and a tone is fed into the I/Q output that shows up on the waterfall so you can put your transmitter in the passband of your receiver. You do that with the bigger silver knob. The knob on the right controls the keyer speed, the green button is the keyer control button and the jack is for the paddle. The Firefly does not originally have a power on LED but since I added a power switch to the back of the radio, I added a power on LED to the front. The back (not pictured) has jacks for power, I/Q output and the keyer sidetone. 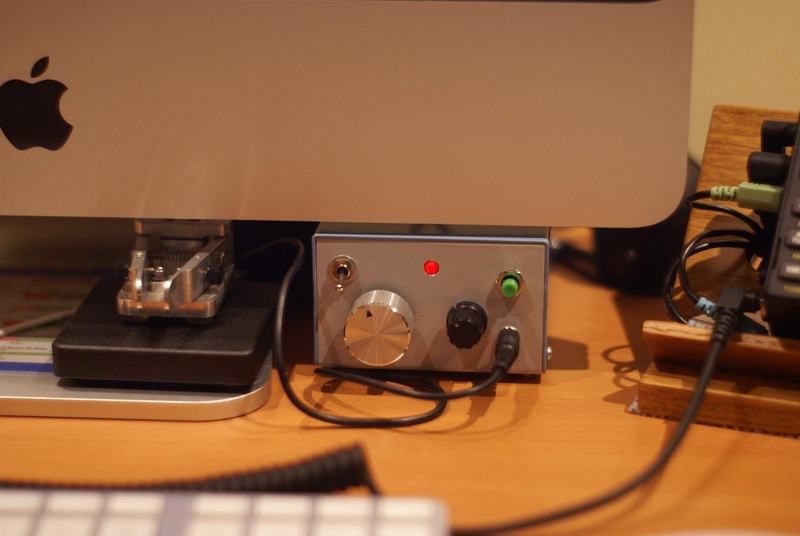 The keyer needs its own sidetone since the SDR application simply "thumps" when you transmit (the I/Q stream basically goes all fuzzy and all you hear in the computer speakers is a hum). As I mentioned, I also added a power on switch to the back of the case. The radio does a fine job. I measured the output at about 3w on my QRPometer and had no problem making a few contacts. All in all, it is a fun little radio and if you see one for sale sometime, don't be afraid to pick one up even just to play with a bit. I purchased a UV-5RA from Amazon on a whim thinking maybe I'd get into trying some satellite ops. I had some money burning a hole in my pocket so I figured, why not! I used this article to build a hand held Arrow style dual-band antenna. My first iteration used a 1 inch square wooden dowel for the boom which worked pretty well but proved to be a bit heavier than I would like and even though I'm no weakling, after a 10 minute pass, your arms will get a bit tired. I also had a lot of trouble keeping the downlink since I only had 4 elements on 70cm. So based on the recommendation from Bob, AD7BP, I rebuilt my little beam using a boom made out of laminated foam core poster board. This one has 6 elements on 70cm and 3 elements on 2m. The first test showed that it certainly helped! I worked K9ZMU up in Wisconsin on Saudisat 1-C a.k.a SO-50. Wee! I'll be looking forward to much more satellite work but with the weather getting cold, it may be a while before I do much more. I HAVE THE OLDER VERSION FOR 30 METERS AND HAVE WORKED 42 STATES AND 10 DX STATIONS BUT F0R SOME REASON I seem to have lost receiver senstivity. Any ideas where to start my looking?